Tag Archives: You Can Write — Really! Kelli A. Wilkins, You Can Write -- Really! Today I’m sharing a bit about my latest book: You Can Write—Really! A Beginner’s Guide to Writing Fiction. As an author of 95 short stories and 19 romance novels, I’m often asked: Where do you get your ideas? How do I get published? How do you write a book? What advice do you have for writers who are just starting out? Do you have any writing tips? One day, I started thinking about everything I’ve learned over the years, and inspiration hit me: Why not write a book on how to write? The result? You Can Write—Really! A Beginner’s Guide to Writing Fiction. This fun and practical book walks you through the story-creating process step-by-step: from getting a great idea to meeting your characters, developing a plot, and on to writing, revising, and submitting your work. Each easy-to-read chapter is based on my 15 years of experience as a writer, advice I’ve received over the years, and the technical “know-how” I’ve gained in writing classes and workshops. I also included helpful tips all writers can use, plus easy writing exercises to get you motivated. It’s really not that difficult. Why? Because the basic mechanics of good storytelling are universal, no matter what genre you write. Every fiction story contains the same ingredients: an interesting and engaging plot, characters the reader cares about and roots for, supporting details, and background that draw the reader into the story. TIP: Set aside an hour a day to write. Not sure you have an hour? Consider writing on your lunch break or during a commute. Get up an hour earlier or schedule time after dinner. Make an appointment with yourself and keep it. You can also write in two blocks of 30 minute sessions. TIP: Keep a pen and paper (or a voice recorder) with you at all times to note bits of dialogue you overhear, something strange, funny, or creepy you see, or anything else that captures your attention and could be used for a story. If you’ve always dreamed of writing and getting published, but have no idea where or how to start—THIS is the book for you! You Can Write—Really! is an easy guide designed for beginner writers who need a boost of motivation and simple instructions on how to get started. Award-winning author Kelli A. Wilkins takes you step-by-step through the writing process, covering the basics of plotting, editing, revising, and submitting. 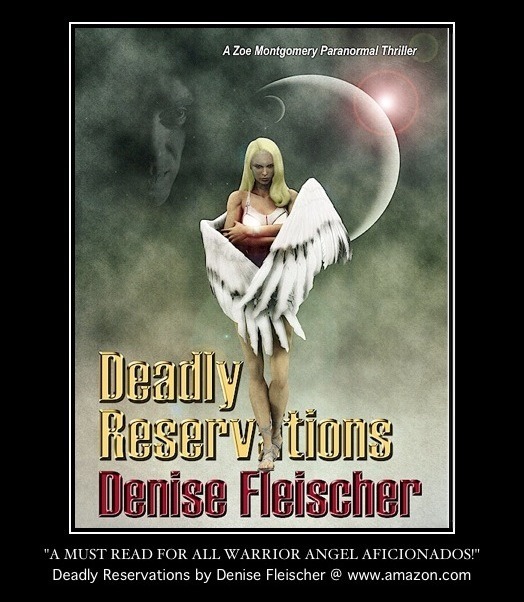 In addition, she explores ways to get your creativity flowing, explains where authors get ideas, and shows you how to create interesting characters for your story. Helpful tips and fun writing exercises throughout the book get you started! Her newest book, You Can Write—Really! 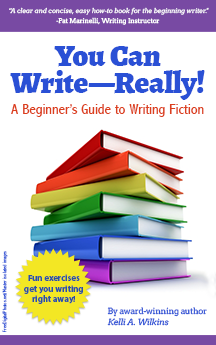 A Beginner’s Guide to Writing Fiction was released in February 2015. This fun and informative non-fiction guide is based on her 15 years of experience as a writer, and is available exclusively on Amazon. Kelli posts on her Facebook author page https://www.facebook.com/AuthorKelliWilkins and Twitter: http://www.Twitter.com/@KWilkinsauthor. She also writes a weekly blog: http://kelliwilkinsauthor.blogspot.com/. Visit her website, www.KelliWilkins.com to learn more about all of her writings, read excerpts, reviews, and more. Readers can sign up for her newsletter here: http://eepurl.com/HVQqb.